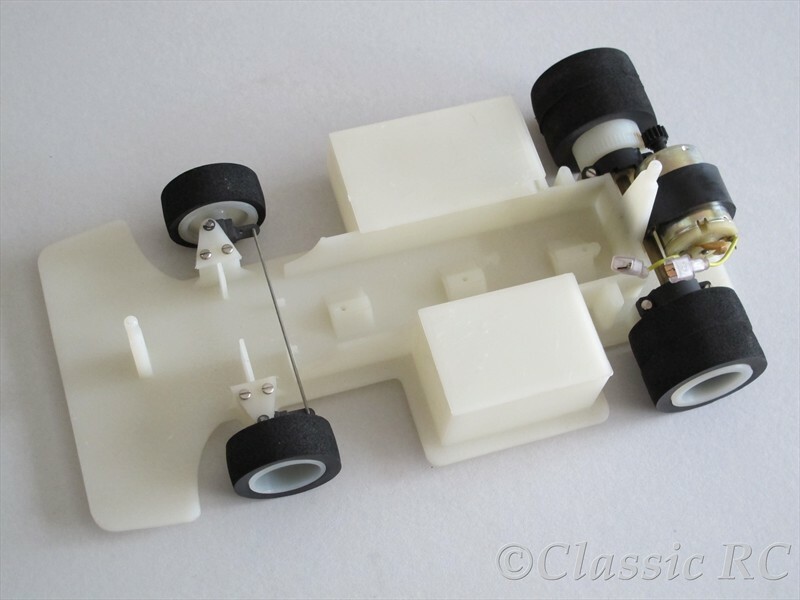 The Car 3000 is a very early 1/12 scale car, released by Italian company Mantua Models in 1979. As you could see from the pictures, Mantua went with a moulded chassis containing also front end and body posts, and mounts for steering servo, motor and rear axle. 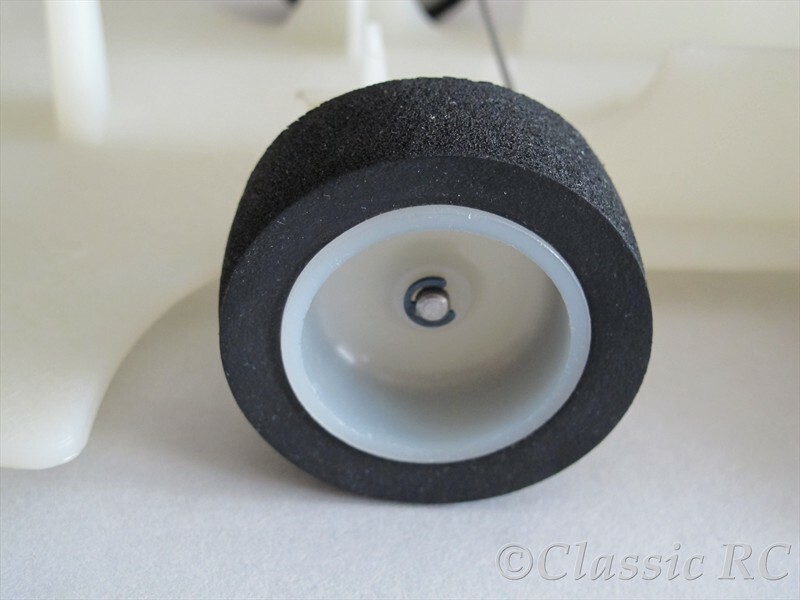 Similar to the early Jerobee car, a hexagonal rear axle was used as e-clips for fixing the wheels. But this is where similarities end. 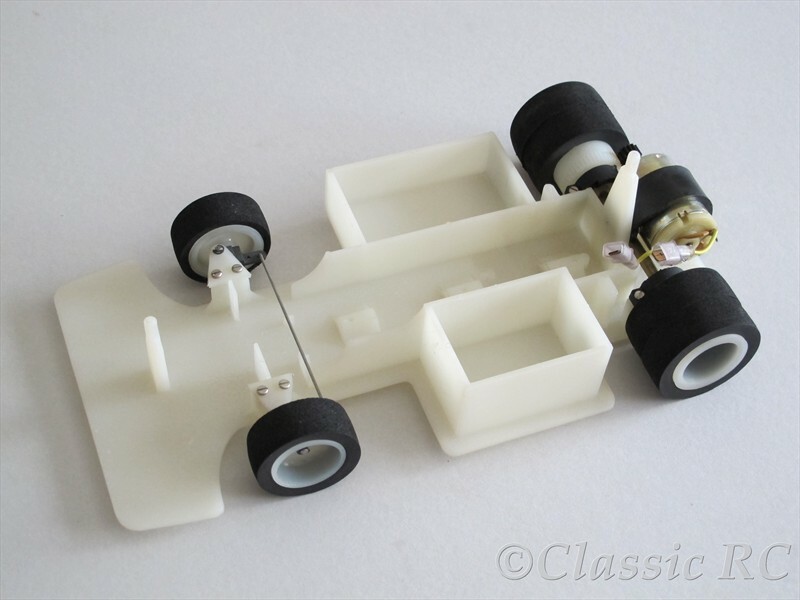 Mantua went with a thick nylon plastics for the chassis, this is much more heavy than the Jerobee Lexan chassis. The radio boxes are adding additional weight, but also saving the radio from debris and moisture. 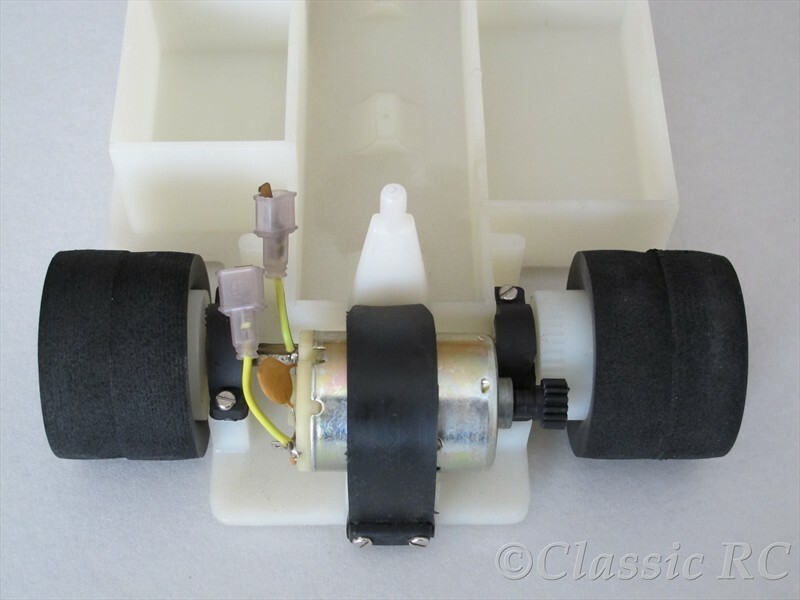 The Car 3000 could use up to 8 cell battery, also an ESC was recommanded at the manual, as there was no room for a mechanical speed control and servo. Another difference being drive train where you could find a spur gear moulded to the right rear wheel. This was not a very popular solution, but the British Mardave was another car using such design. The motor mount was a very special design again where Mantua went with a clamp for fixing the motor to the chassis.